Wow! The LA Times has a great Scientology scoop today. Police records show that Tom Cruise’s best friend David Miscavige had his OWN FATHER followed, spied upon, and planted a GPS unit in his car for 18 months after his father split from Scientology. He was afraid his father would talk about the organization’s nefarious activities. The situation came to light when detectives hired by the church were arrested in Ronald Miscavige Sr’s neighborhood in Wisconsin – they were carrying numerous weapons, binoculars, computers, a GPS tracing device, etc. Eventually the detectives from Florida broke down and admitted they were hired for $10,000 a week by David Miscavige through another party. Here’s a SHOCKER: One day as they were watching the father load objects into his car, the 79 year old grabbed his chest and slumped over. Detectives didn’t know what to do and called their Florida contact and David himself called them back in person. He told them that if was Ron’s time to die, to let him die and don’t interfere. (He didn’t.) All this is in Wisconsin police records! Click HERE to read to whole juicy story! WATCH OUT FOR LEAH REMINI: SHE’S A WOMAN SCORNED! Leah Remini has declared WAR on Scientology, and we LOVE her for it! Scino leader David Miscavige’s wife Shelly was a friend of Leah’s and hasn’t been seen for several years. Leah noticed and ASKED about her absence at Tom Cruise’s wedding. There were also rumors of Miscavige’s questionable behavior with his female assistant. Leah was immediately reprimanded and punished by the church for being nosy. It is possible that Shelly Miscavige angered the church and is being held in a prison camp or “behavioral modification facility” called “the hole.” It’s where people who question the church are held. Leah wants to know, and she filed a missing persons report for Shelly! First she announced she is writing a book about her Scientology days, and NOW Leah has the LAPD digging into their secrets! Leah seems to be the bravest and most outspoken of all the former celebrity Scientologists, and it just keeps getting better. David Miscavige may have met his match! Click HERE to take a look at Tony Ortega’s informative anti-Scientology website. Another blow for Scientology- and we couldn’t be happier. Pulitzer prize winning author Lawrence Wright has a new book called “Going Clear: Scientology, Hollywood, and the Prison of Belief.” It’s a very detailed well-documented expose that verifies many things we’ve always suspected. A few tidbits: Scientology leader David Miscavige viewed Tom Cruise’s exwife Nicole Kidman as “a goldigger who faked Scientology.” She nearly succeeded in pulling Tom away from the cult but eventually they tightened their grip and got rid of her. 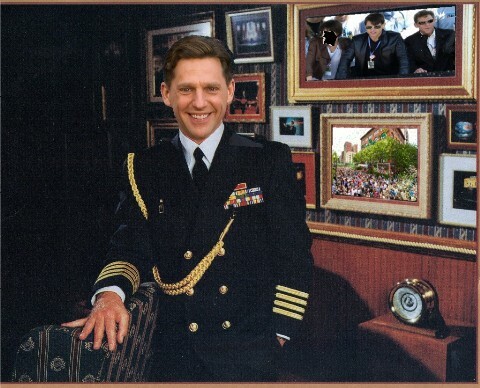 The fact that Tom is in awe of David Miscavige is apparent by the fact that he modeled his naval officer in “A Few Good Men” after Miscavige’s commanding personality. We can’t wait to read about the cult’s massive real estate holdings in Los Angeles.There’s a lot of juicy stuff in this book,so if you need another reason to dislike Scientology, read it. Scientology leader David Miscavige is not happy about the fact that the reporter who wrote a 24 article series exposing Scientology in the early 90’s for the LA Times is re-examining his experience in Los Angeles magazine. Before he wrote about the church, few people were aware of their malevolence. It took Joel Sappell five years to prepare the expose and he suffered appalling harassment at the hands of the church, back when they had money and power to burn. Even his dog was poisoned. His experience frightened other writers from reporting about the church for years. Check it out this month in LA Magazine. After this summers events, we wouldn’t be surprised to hear that Scientology leader David Miscavige had jumped off the tallest Scientology building. His own niece, Jenna Miscavige Hill, has written a tell-all book about her life in the cult. Jenna’s parents left the organization when she was 16 and she wasn’t allowed to have contact with them. After six miserable years, SHE left also and reunited with her family. She promises a lot of new information about the “upper ranks” of Scientology. (More?) Meanwhile, David Miscavige and his flock are planning to retaliate against all their bad press by starting up 24 hour Scientology propaganda broadcasting from the KCET Studios they purchased in Hollywood (and aren’t paying taxes on) last year. Be careful, they might be recruiting YOU in the middle of the night! Nicole Kidman was RIGHT about Scientology. According to Tony Ortega in the Village Voice, in the years Nicole was with Tom Cruise (1990 – 2001) she and her family pressured Tom to pull away from Scientology and they were labeled “suppressive persons” (people critical of Scientology.) It so happens Tom DID become estranged from the church during that time and church leader David Miscavige was apoplectic. So he planted a ‘spy’ in Tom’s house in the form of a personal assistant named Michael Doven. Doven worked tirelessly for Tom during those years and secretly reported daily to Miscavige. He learned about any problems in the Cruise household and Miscavige adjusted his dealings with Tom accordingly. With the help of Doven, Cruise was pulled back into the church after his divorce from Nicole. Now, of course, Tom and Miscavige are best buddies again.